The VPD's horse with no name. (Credit: VPD). Criminals had better watch their backs when the Vancouver Police Department deploys a huge new officer on duty in Stanley Park. The Department's newest member is a four-year-old Clydesdale horse, picked by the VPD after human officers saw their four-legged colleague learn fast and get on well with other horses. Police also describe their colleague as having huge feet and a "mellow demeanor" - meaning that their latest member may be a gentle giant after all. All that's left is to give the horse a name. Police officers and civilian staff at the VPD stables have narrowed the name selection to four choices and have asked the public to make the final decision. The four shortlisted names are Juno, Vimy, Justice, and Mason. The public can pick their favorite name at online at the VPD's website. 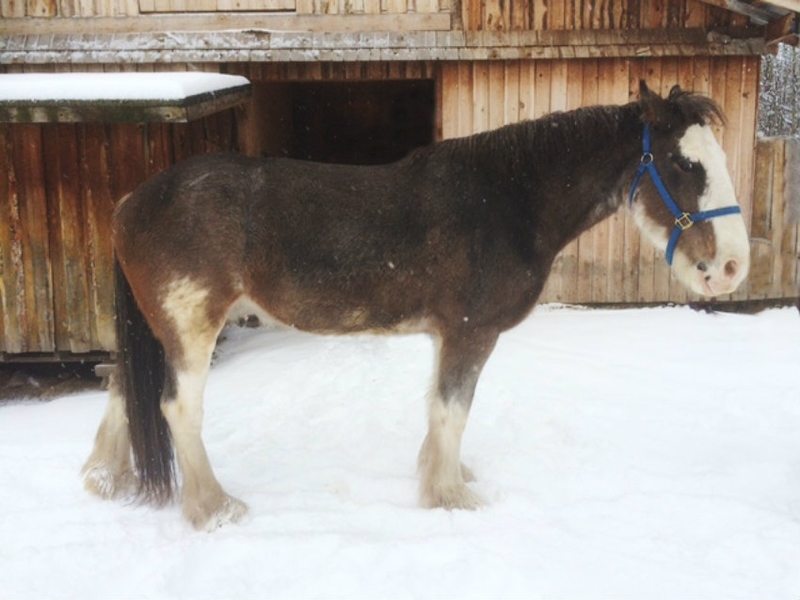 On Feb. 22, those who voted for the winning name will be entered into a draw to win a tour of the VPD stables and meet the new recruit. The final name will be announced on Feb. 23.